A new study claims that grilling meat may have a profoundly negative effect on your health for some interesting reasons. As we reported recently, a new report from the American Heart Association claims that grilling your meat or cooking it well done may result in high blood pressure. But it is the remarkable explanation of why that is truly food for thought, and may give you pause before firing up that grill the next time around. 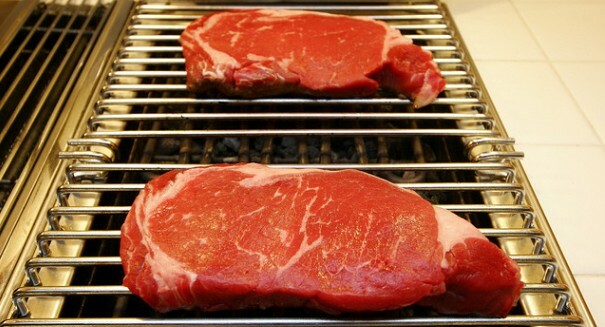 The reason that grilling meats is a bad idea for your health is that cooking meats at high temperatures produces chemicals that induce “oxidative stress, inflammation, and insulin” resistance, the authors wrote. That in turn leads to a greater risk of high blood pressure, which will put you at risk of an early death if maintained over a long period of time. This high blood pressure causes the arteries to narrow or constrict, which puts stress on the heart. This is why high blood pressure is such a big factor in causing heart disease. However, more research may be needed, as this study simply identifies a trend rather than proving that grilling meats causes high blood pressure. But it certainly is enough to make one reconsider their cooking choices when it comes to meat. “The chemicals produced by cooking meats at high temperatures induce oxidative stress, inflammation and insulin resistance in animal studies, and these pathways may also lead to an elevated risk of developing high blood pressure,” said Gang Liu, Ph.D., lead author of the study and a postdoctoral research fellow in the department of nutrition at the Harvard T.H. Chan School of Public Health in Boston.